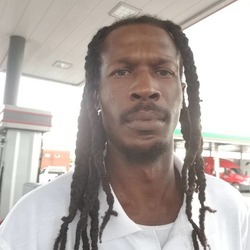 The Arkansas State Police have identified James Edward Blackmon, 35, of St. Louis, Missouri, as the man killed in a gunfight with two Arkansas State Troopers and a Mississippi County Deputy. Just before 7:00pm Monday, an Arkansas State Trooper patrolling I-55 in Mississippi County near the 56-mile marker came upon a vehicle that had earlier been pursued by Missouri law enforcement officers. The driver, Blackmon, was stopped but got out of the car and fled toward farm property. Two state troopers and a Mississippi County Sherriff’s Deputy went after him. A trooper deployed his K-9, which made contact. Blackmon then fired a gun at the K-9, killing him. The suspect then turned and exchanged shots with officers. Blackmon was apprehended at 7:11pm and transported to a hospital. He died Tuesday morning. An autopsy will be conducted at the Arkansas State Crime Lab to determine the exact cause of death.